The sun might be hiding, but it doesn't mean you have to hide. Keep your Beach Babe Body as we head into the cooler months, below is an excellent recipe to keep your sweet tooth on track. 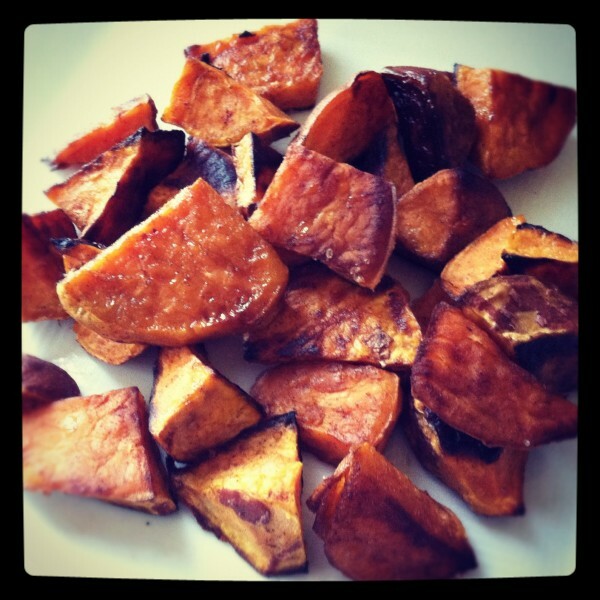 A favorite treat, snack, and side dish... Sweet Potatoes are a favorite of mine. You can do a lot with these orange colored potatoes from salty to sweet dishes. 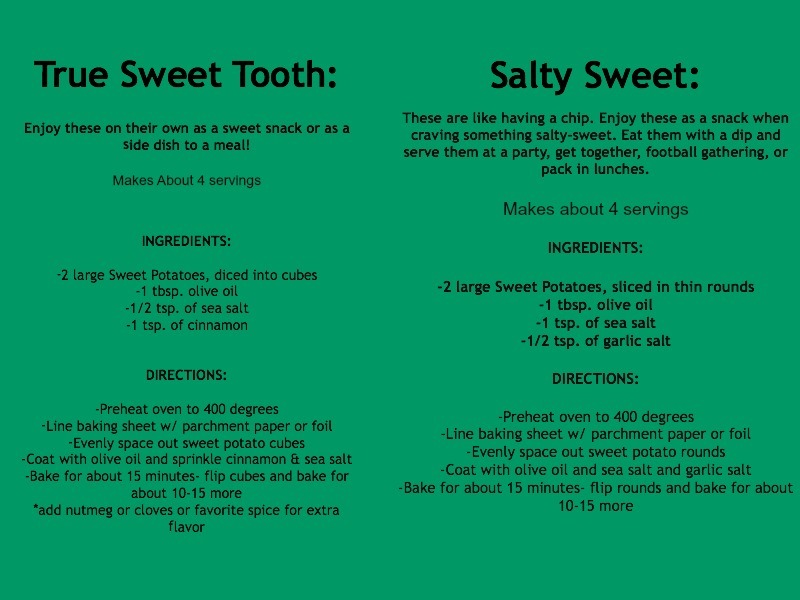 These nutrient rich potatoes have that sweet taste that can easily satisfy your sweet tooth and help you replace your need for "sugary snacks". It's important to know that these "spuds" are good for you! Sweet Potatoes contain vitamin A in the form of beta-carotene- a super important nutrient which helps to promote strong immune function, beautiful skin, healthy eyesight, and they're also great for balancing your cellular health.